Good Evening and Here's What's New...: Clerks 3 featuring... YOU? 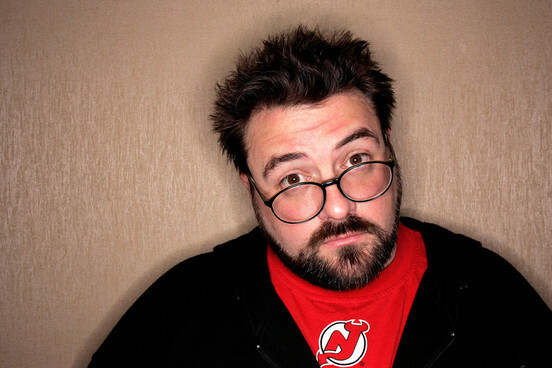 Kevin Smith has decided to go grass-roots once again. The writer/director best know for his Jay & Silent Bob films got his big break by maxing out credits cards for the original Clerks and has decided to use social networking to help cast what could be his final film, Clerks III. Smith is a social media guru and has decided to give back to his supporters in an interesting way. Anyone that retweets #ClerksCast to @ThatKevinSmith will be given a background cameo appearance in the new film. The production is a long way off and still awaiting the thumbs up from original co-star Jeff Anderson (Randall) but this news is an interesting twist for anyone who ever wanted to be involved with a Kevin Smith movie or smoke a blunt alongside Jay and Silent Bob. Clerks was a dialogue-heavy reflection of the life and times of two 20-somethings in the early 1990's. Clerks 2, the sequel to the original featured Dante and Randall in their 30's, and this final film will reportedly feature the two in their 40's. Read this Huffington Post article on the new film!